CA Uma Kant Mehta is a Chartered Accountant in Practice for the last more than 23 years in the name of M/s U.K. Mehta & Associates, Chartered Accountants in Chandigarh. He is B.Com (Hons), LL.B., DIM, FCA and has vast experience in the field of Auditing, Taxation Consultancy for Direct Taxes and Indirect Taxes, Labour Laws, Corporate Law, FEMA, Due Diligence and Estate Planning. He is Tax Consultant of various Government & Private organizations. He is also a member of various committees of Punjab Government Societies & Haryana Government Societies. He is also guiding various Religious & Charitable organisations in fulfilling their statutory obligations. Having a Keen interest in imparting knowledge, he is faculty of the Institute of Chartered Accountants of India for the various courses run by the Institute for its members & students including GST & other courses. He is socially very active and member of various organizations and also a Charter Member of TIE, Chandigarh. 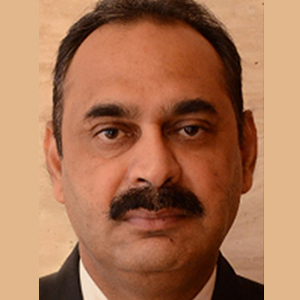 He was formally Chairman of Chandigarh Branch of The Institute of Chartered Accountants of India before holding the post of Treasurer, General Secretary and Vice Chairman respectively.